I brought the kids to the Wolf Conservation Center in South Salem today, while Catie met a friend in New Jersey. 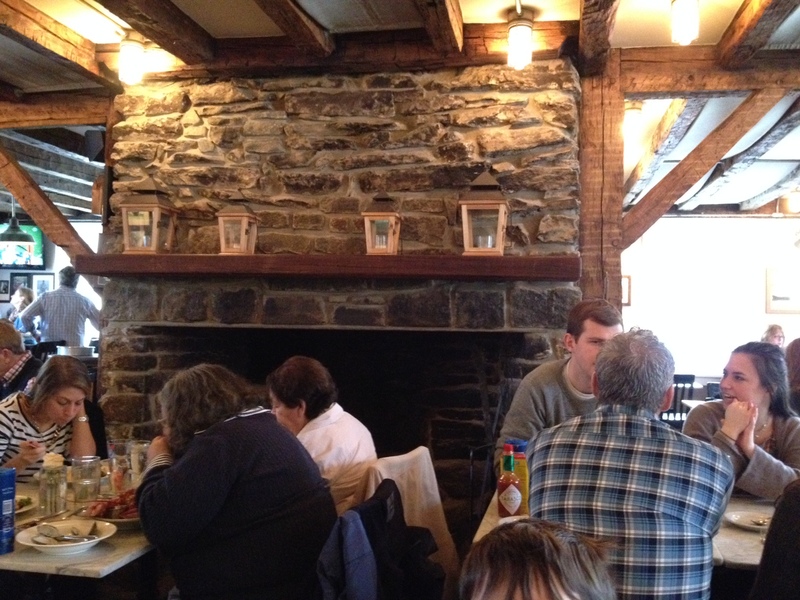 Afterwards, the boys and I took a short drive up 684 for lunch at Farmer & the Fish. Really charming. Located in a house that dates back to the late 18th century. 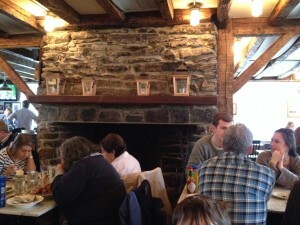 Lots of stone and wood, with enormous fireplaces to warm things up on a cold winter afternoon. Owen had eggs benedict, Jeremy had a salmon burger, I had the lobster roll, and we all shared lobster hash on the side. All delicious, but the salmon burger was especially good – a big chunk of fish turned out medium rare with nice char at the edge, not the usual ground-up patty. Much of the food is grown on the property or sourced locally. We’d certainly go back. Thanks to Herb Oringel for the suggestion.